Soccer, otherwise known as football really is the beautiful game, but perhaps inevitably such beauty attracts corruption. The selection of the site has a long history with bribery not unknown. Russia is not really a major soccer power, but they wanted to show how they can put on a show. By all accounts they did an impressive presentation. Efforts have been made to clean it up, but I suspect it will be an ongoing battle. A few days before the World Cup competition began it was announced that a joint bid to host the 2026 version will include Canada, United States and Mexico. The NAFTA countries can work together for their mutual benefit. Soccer is already strong in Mexico, but in The United States and Canada it is not quite really major league status. Tension slowly builds. 32 teams are formed (partly seeded and mostly random) into 8 groups. Within each group each team plays three opponents. It sometimes is difficult to determine who will move on as only one half are left to advance. Anyone can win the Cup even if they lose the first game, but if they lose unexpectedly or fail to score enough goals they may not advance. Ties and goal differential count so every team is motivated to get more goals, but also to be defensive. Games are arranged so that all four teams play at the same time for the third game so that they won't base their strategy on the results of the other two teams, such as resting key players or tightening up their defense. The advantage of finishing first in your group is that you play the second finisher in another group, theoretically (but not always) an easier match. For the first time in tie breaking mechanisms the nation with the fewest yellow cards advanced. As it happened in low scoring games allowing ties, Japan and Senegal had the same number of points, the same goal differential and had tied each other, so the authorities moved to a fairness measure to decide that Japan would advance. I was able to either watch on tv or track on computer part of most games as they happened. Even watched part of one game in the dentist office. Very addictive despite low scores. Co worker rooting for Croatia. We live in a Portuguese neighborhood and when they win they honk horns and drive around the block waving flags. Mostly favor the underdog, but love to watch outstanding players. One good feature is that the games are spread over a month. Initially there are four days between for any one team. 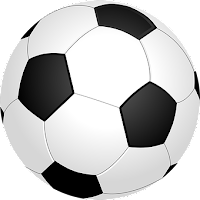 Soccer is the most physically demanding of the major team sports. At the end the semi finals are held on the 11th. The two losers have to play on the 14th while the better rested winners play the final game on the 15th. In the second stage are all single knockout meaning ties do not end the game. Overtimes and shootouts can be dramatic. They still do not have sudden death overtime as in hockey. It was pleasant to see Iranian women in the crowd cheering their team as back at home apparently they are still not allowed. In the early games you could see Muslim players were recovering from their Ramadan fasting. Technology is further helping to resolve difficult situations with VAR (Video Assistant Referee) It has been used to determine if there was enough contact to award a penalty. Goal line is sometimes needed to determine if the ball crossed. Offsides can be very difficult to determine, but obviously important to decide if a goal should be allowed. The technicians are rotated like the on-field officials and national conflict avoided. In the early stages there were a number of own goals. Some of them decisive for a game (which also means for advancing or not). Bad luck and tragedies play a role in life. I recall my son stretching out to stop a shot on goal and ended up deflecting it in during a playoff game. In the World Cup were examples of a player extending themselves in what could have been an heroic stop, but ended up losing a game. Still somebody did something to make it possible. One particularly sad one was a veteran Russian defender pushing away a Spanish attacker inadvertently diverted shot into his own net. Apparently he was the oldest player to score in World Cup. Croatia had an own goal in the final making a total of 12 own goals. Injury time seems to be unique to soccer. The clock is stopped during injuries for other sports. The injury time is to some some extent at the discretion of the referee. I noticed one reference to "stoppage time" which would supposedly include set up time between goals, substitutions, VAR consulting and the occasional distraction. The final four were all European--usually South American teams are more prominent. three of the four teams were colonizers which in turn meant many of their former subjects immigrated. All three had critical players that originated themselves or their parents in the former colonies. One commentator suggested that Britain for one had an integrated team, but parts of Britain was rejecting the idea. The French team is mostly connected to Africa and play African music while traveling and in locker room. Germany, Argentina, Portugal, Spain exited early. Because of the upsets it may seem that the two best teams are not the ones who meet in the final. Some might say Brazil vs Belgium or Belgium vs France were the best teams. One thing you can be sure of is that the two finalists have beaten some very tough teams and had that all important element of luck on their side. Home town Russians were a surprise as they weren't expected to get out of group play. Some (me) would say the final should have been the match between France and Belgium, but seeding is very complex and to be honest if you shake up the dice a little differently you might get an entirely different result that. There is a time constraint. France showed whey they deserved to win but Croatia put up a great display. Their first goal in the final was one of the best. There is an awful lot to take in so I welcome any comments from those who saw something different. Would have loved to see France vs England. My observation is how many goals are scored from corners or penalties, etc. The run down the field and score (as in hockey) seems rare. The skill at this level is amazing. Will/did Harry Kane (aka Ryan Gosling) win the Golden Boot? The set pieces allow more control for the offense. My favorite was from a free kick in the final game set up by Modric who later was awarded the Golden Boot, although I don't belive he scored any goals--although he did pop in one during a shoot out. The one skill I was late in appreciating is trapping the ball--at this level that skill is amazing.